Celebrate 150 years of Wonderland. White rabbits, tea parties and Johnny Depp as a fan, no less. Hate being weirded out? Then this is not the book for you. 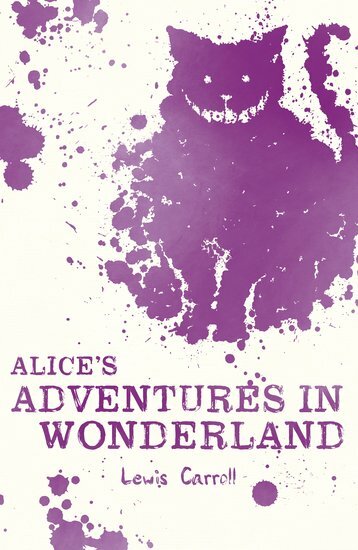 But if you think weird is kind of wonderful, tumble down the rabbit hole with Alice. Talking caterpillars. Bizarre animals. Mad hatters. Tea parties. Potions that make Alice grow to the size of a giant. Playing croquet with the Queen of Hearts. In Wonderland, nothing makes sense any more. But seriously – who needs normal? Lewis Carroll’s real name was Charles Lutwidge Dodgson and he was born in 1832, in Cheshire. As a young boy Lewis was excellent at reading and at school he showed himself to be a bright pupil. His natural gift for numbers led him to study maths at the University of Oxford. He did very well there although later on he admitted that he often didn’t work hard enough. He suffered from a stammer but he was very good at mimicking people, telling stories and playing charades. After university, Lewis Carroll had a varied career. He continued living in his Oxford college teaching maths and writing books about mathematics, and he was ordained a church deacon, although he never became a priest. But he also pursued his love of writing stories and photography. As well as his Alice books he wrote many poems, articles and short stories and became a skilled photographer. He never married but he adored children and spent a lot of time with his young friends, playing with them and taking photographs. It’s quite good but I got lost in the plot and didn’t understand it all. It was very good, though!